RuneScape Player Owned Farms were released in September 2018. They give players the ability to raise and breed own animals and even dragons which they can sell. This is the biggest update to the well-known Farming skill. Here is some advice on how to take full advantage of it. To start your own farm, you need to be a RuneScape member at level 17 Farming and level 20 Construction. If so, go to Manor Farm (north of East Ardougne) and talk to Granny Potterington. He will begin a tutorial you need to complete. Now it’s time to get animals for your farm. 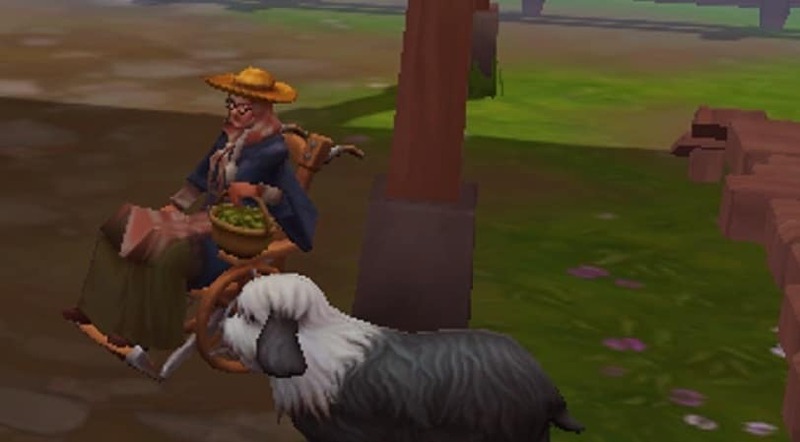 You can exchange beans (RuneScape Player Owned Farm currency) for farmyard animals, like sheep, caws, etc., at the Farmer’s Market. You can obtain more dangerous animals by combat. For example, killing a spider in Gielinor will give you a spider egg. When you achieve Farming level 92, you’ll be rewarded the ability to raise dragons. To get one, you need to put on your anti-dragon fire shield, go to Gielinor, and engage in a fight versus a dragon. You can raise chinchompas from Farming level 54. You need to catch different ones, depending on your Hunting level. For example, if you wish a red chinchompa, you should have Hunting level 55 as well. If so, grab your hunting gear and box traps and go capture one to raise in your farm. Another possibility is to breed animals yourself by putting a male and a female into ta breeding pen. Soon they’ll have a baby. Clever breeding will unlock new animal species. Some breeds are season specific, others can only be bred during specific in-game world times. You’ll get more Farming XP from raising so call ‘shiny animals’. These have different appearances compared to the regular animals. They are challenging to be bred and their rarity is partly down to luck. To increase your chances, breed animals that have ‘sparkling’, ‘glistening’, or ‘radiant’ traits. Never neglect taking care of your animals. There are six diseases, each has of which has different symptoms. Some diseases share common symptoms, but each one has a specific symptom to help with your diagnosis. Examine your sick animals regularly to identify the symptoms which will help you ail them. Curing a disease is rewarded with Farming XP and animal’s stats increase. For example, by the large pens you can find the beehives. Place flowers in these hives to create special honeycombs that give you animals various boosts. Using marigolds gives delicious honeycombs, that increases animals happiness level. Woad leaves on the other hand create medicinal honeycombs, which improve your farm animals health. As you know, RuneScape farmed animals can be sold. Same applies to your own farm. If your pens are full of animals or you just run low on beans, you can sell some animals. Different kind of animals have different buyers. They would buy a set number of animals. This number is reset after a certain period of time, determined by the size of the pen the animal inhabits – one day for small pens, two days for medium, and three days for large. Each animal’s price depends on its breed, stage of growth, and traits. Advice: Keep an eye on your animals’ traits to enlarge your profit. Also, each buyer has a preferred breed and trait. So it’s good to plan which animals to sell for max profit. After being a farmer for some time you might have collected lots of beans. You can spend these for new animals, to upgrade your farm, or for some great rs items at the Farmer’s Market. This entry was posted in How-To Tips & Tricks, Latest OSRS News, Old School RuneScape, OSRS Mobile App, RuneScape 3 and tagged buy runescape account, Old School RuneScape application, oldschool runescape, player owned farm, runescape 2007, runescape 3, runescape player owned farm. Bookmark the permalink.